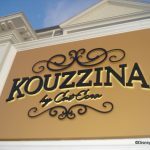 Kouzzina by Cat Cora, the Greek/Mediterranean restaurant located on Disney’s BoardWalk in Walt Disney World, will be closing its doors in September 30, 2014. Kouzzina replaced former Mediterranean restaurant, Spoodles, in 2009. The spot will be closed in September and re-opened at an unspecified date as another restaurant. 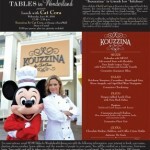 No word yet on what type of food will be served, but Cat Cora’s name will not be attached to the new dining location. fans of dinner at Kouzzina, we sure will miss the delicious and easily accessible breakfast here! Adios, Kouzzina! We’ll miss those cinnamon rolls! Note: Disney has not announced or confirmed this information, so it is in rumor status until they do. Subject to change! Were you a fan of Kouzzina? Let us know in the comments below! SOOOOOOO very glad we were able to fit this into our trip in June!! Hubby and I are excited to share with my sister and her hubby. We are VERY sad that it is (allegedly) going. It was one of our newest favorites!! We have reservations at Kouzzina’s in mid-September. Would be interested to hear others’ thoughts whether quality and atmosphere will be faltering two weeks prior to closing or if you think Kouzzina’s go out on top? Trying to decide if we should change our reservations to a different dining choice. Thanks! This is such a bummer! This was by far our favorite meal and over all dinning experience. If they change it back to Spoodles I will be very happy. We loved Spoodles, but never saw anything on the Kouzzina menu that made us want to eat there. NO! They have the best Gluten Free breakfast! I’m glad I made reservations for my anniversary next month. Cat Cora’s was my favorite restaurant in all of Disney World. We always go to dinner and to breakfast at least 2 days in a row. We got to get there before they close their doors in Sept. I sure hope they change their mind about closing the doors. Kouzzina is a family favorite and I am terribly sad to see it go, if the rumors are true! With vegetarians, gluten-allergies, etc in our large group, Kouzzina was always a sure thing that everyone could get something delicious and worth the money. And love love love their olive and olive oil setups they bring out. Wishing I had that here in front of me right now! I haven’t had their breakfast, but my sister went her husband and kids and had great things to day about it! Never got to try it, but I’m glad that it’s going. Though I’m sure the food at Kouzzina was very good, I never found myself hanging out on the Boardwalk, thinking, “I know… high-end Greek cuisine!”. Boardwalk needs a better casual table service restaurant, preferably one that better fits the Boardwalk theme – fried clams, roast beef sandwiches, disco fries, funnel cakes, etc. Think about it… we have a sports bar, a brewpub, a signature seafood restaurant, and some counter service options, but no casual sit-down options that properly embrace the theme. I’ve never eaten there for dinner, but I love breakfast there. The care they take to make sure my food is gluten free, so I don’t get ill, is wonderful. Met chef dee when she first started at Cat Cora’s, she has becoming a pal.. will miss her and the good food that wad served here. many good times with family & castmembers. 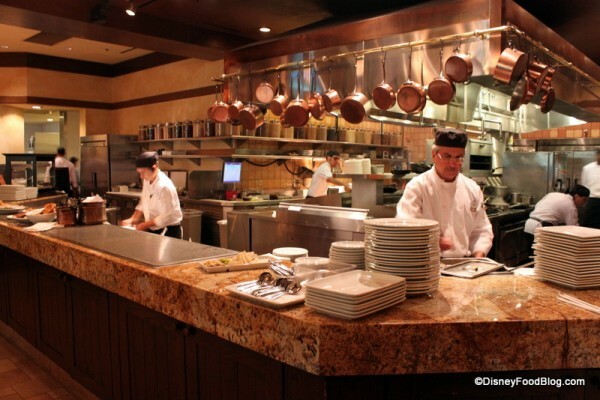 Our family will miss Cat Cora, Dee & the wonderful staff that we met there over the years. NOOOOOOO! I loved both breakfast & dinner there. The servers & kitchen staff were great. The olive service had the only olives I’ve ever been able to eat. (Usually the flavor of cheap olives disgusts me.) As a lover of Greek food I was a little bummed that the menu diversity had been dumbed-down for all the visitors who will not eat “ethnic” food. I guess that’s where the problem was, plebeian eaters avoiding the place. Which made it so that those of us who loved the place could always get a table, but doesn’t make a lot of money for Disney. That is such a shame. I’m also bummed that my next trip won’t be until after it closes. Have gone there the last 5 trips. Heading back at end of April. This is my husbands favorite place for dinner. Loves the Greek lasagna. The lamb shank and pork tenderloin are also amazing. This is really too bad. Disney is getting rid of a gem. very sad news. as with all things disney this is about money and kouzzina just didnt make enough of it. tragic. another good rest. down the disney drain. lets hope they dont put an italian rest. here. We’ve had some great meals, olives, and wine at Kouzzina. Breakfasts are very good, especially for gluten free options that are a bit different. NOOOOOOOOOO!!! We loved Kouzinna!! We had the tasting menu in January and were so impressed. We will really miss it. Sad I won’t be back before it closes. Disney needs to have a casual restaurant like in the lower end resorts to suit the needs of those staying at the Boardwalk,Beach And Yacht club. Not everybody want a full sit down meal and a quick service place would be a much welcomed addition. UNCONFIRMED NEWS: It will be italian, similar to Spoodles, if not the same name. The team at Kouzzina testing italian dishes, baked ziti, similar dishes over this past week after closing. Yawn. Another loss of unique dining for cheap to make food to sell to the unadventurous masses. Another italian restaurant at Disney. The place gets worse every month. Larry – I hope that’s just a rumor … because if true, it’s just sad. I’ve said for the last 4 years that the era of the “Disney Dining Plan” was ruining Disney as an exciting dining destination. It encourages mass, homogenous, high-profit/low over head dining at the expense of adventurous, authentic, made to order dining destinations. It’s not like you have to actually make diners happy with their meals, they’ve already paid for it ! Get them in, get them out, and let them fight over which of the 10 identical restaurants they want to eat the same 10 uninspired dishes at. Do you really need Tutto Italia, Tutto Guston, Via Napoli, Il Mulino AND and fifth Italian place within a 1 mile walk ? Ludicrous. I’ve always been a Tables In Wonderland person over the dining plan, but if the dining experiences continue towards crap-casual and small(overpriced) plates, I’m done. I don’t mind dropping $75 per person on dinner when on vacation, but I’m certainly not doing it for processed chicken bits and a $3 plate of pasta. I can’t believe all the positive reviews I’m reading. 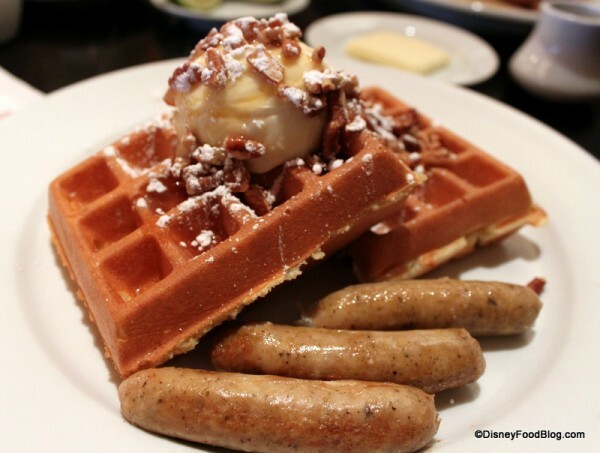 I’ve eaten at at least 50 Disney restaurants and my party of five all agreed that this was the worst meal we ever had — anywhere. I had the pork “tenderloin” and might as well have ordered a 2×4, which would have been more tender. My wife had the veal shank — horrible. One of our friends ordered the trio and each was worse than the previous. None of us could bear to finish our entrees. Spoodles was far better. Good riddance to Kouzzina. We were there this past April. 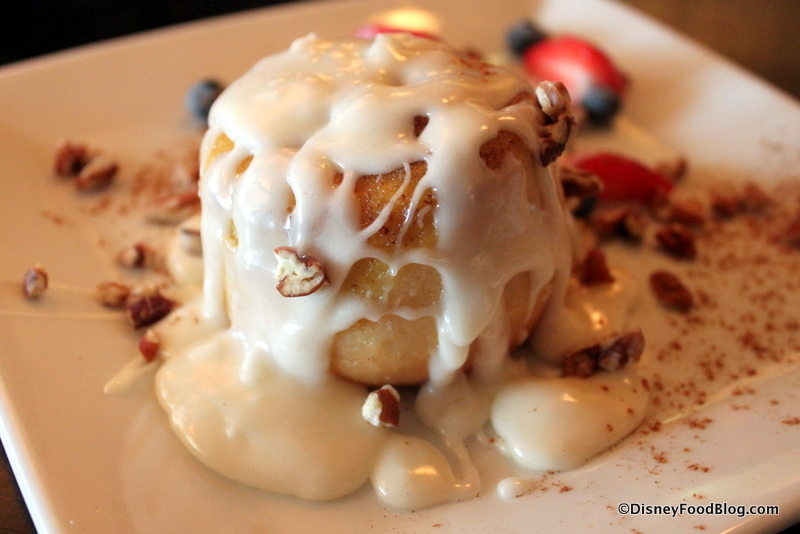 And, Kouzzina was by far our favorite meal at the Disney Resort. We had the Fisherman’s Stew and the Lemon Chicken Orzo soup. It was heavenly. I’m so sad this place is closing. It’s so different than the other restaurants. I thought the food was excellent. My family is with those who have been disappointed. We gave this place three chances. The first was breakfast a few weeks after opening and is was not up to our expectations. We are DVC members at Boardwalk Villas and were so hoping for a good breakfast restaurant on our property. Our next experience was with dinner during the F&W Festival when we took our son who is a chef. He said during the meal that he wondered if Cat ever randomly visited (or had someone else visit) the place to check things out. The disappointment was even worse. That time we had both service AND food that was well below the price point. After reading/hearing some rave reviews like those above we decided to try one more time for breakfast and this time was the worst of all. Bad service, cold precooked food, and the place could have been cleaner. Less than one third of the tables were occupied to boot. We vowed—never again! We are hoping for a much better venue to replace Kouzzina. Add us to the list of Kouzzina fans. We had dinner there 4 times, and all 4 times were wonderful. I’m happy we visited in January. I just booked a trip for August today, and I have yet to make my ADRs. I am wondering if the quality will decrease? Will the wonderful whole fish stay? And the lamb? And the delish appetizers? The idea of yet another Italian restaurant leaves me cold. Ziti? Is that for real? We were just there last week to get out last fix and many rumors flying. Let me first say that this is the best place to eat in the BW/BC area and Breakfast/Dinner are amazing. Over the last four years, my family has eaten at Cat’s like 50+ times and the people are always great (Mary Ann, Nate, etc.). The place is closing due to some split with Cat/Disney and I am sure it has to do with $/image. We all love Disney but we know the Mouse is very brand protective and a bit greedy. The replacement restaurant is supposed to be Italian and be priced cheaper. The same staff will be staying but Disney is putting in $2.9M in renovations into the restaurant to include the Pizza Window (that is good as the Pizza is terrible but not part of Cat’s). We were told that some of the same dishes will stay but not sure which ones. We will miss the Kouzzina Trio, Braised Short Ribs, Wood Grilled Steak, Budino Cake, Finger Potatoes, Feta Mashed Potatoes, Greek Breakfast Salad (Yogurt), Pancakes, Feta Scrambler, Lefkos, etc. As we had our last Breakfast as a family on the AM of the 5th, we asked the manager (Eric) if we could get a menu as a memento since they are closing in two months. He was nice enough to bring down a brand new menu and to our surprise, it was signed by Cat. My children (11/13/15) will always remember our great times at Cat’s and the wonderful staff. Dear Disney, you have some big shoes to fill with the departure of Cat Cora. Just make sure that you leave Allen upstairs at the Belle Vue and don’t mess with all of the things that make this hotel/area great. Change is good but not for the sake of change! Just discovered this news as we were trying to book for October and didn’t see it on the list… Very sad about this. 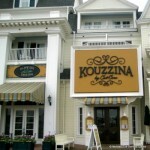 Kouzzina has become one of our must-do restaurants at WDW. The whole fish was THE BEST fish we have ever had… I’ve had it multiple times, and it was always great! I thinks maybe people were put off by the Greek menu, as I’m not necessarily a huge Greek fan, but I’m certainly glad I gave it a shot. Hope this is really just a rumor! We would be very sad to see Kouzzina’s go. By far our favorite breakfast stop. 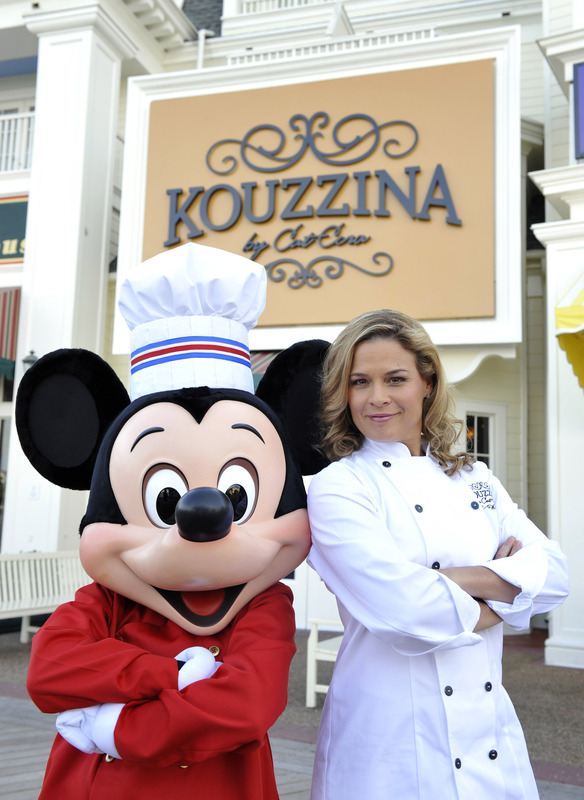 We never visit Disney without a stop at Kouzzina’s Hope Disney finds someone to continue the healthy and unique menu items Cat Cora brought to the Boardwalk! Good riddance! My fiancee and I ate there together, and not only were the portions small, but the seasoning and flavors were incredibly underwhelming. I made better pastitsio on my first try than the food I was served here! We enjoyed all of the Disney restaurants except for this one. I’ll be happy to try whatever restaurant they put in its place. Kouzzina was the only reason I stepped foot on the boardwalk. The ‘market price’ fish was always the best on the menu in my opinion. I will even miss the raspberry foam drink concoction. Ohh well, It’s understandable that some people here might not have liked what they ordered. That’s the food business. A chef is only as good as their ingredients. This isn’t processed McDonalds food where almost every hamburger tastes the same. An Italian replacement? Can’t say I’m surprised, since flour/water is so cheap and most Disney Italian offerings are always booked/sold out. As far as theme goes for the boardwalk….please. Get rid of it or change it entirely. The Boardwalk is not a Disney World highlight by any means, no matter what restaurant is there. Kouzzina’s closing is a real shame. I’ve eaten at every restaurant on the DW property and Kouzzina is one of the few with any true style or creativity. The reality is that Kouzzina was likely too-good for a place like Disney World, as i found it a little more adult-oriented than Disney would like. Too much at Disney is closer to fast food and too few offer a nice relaxing meal. Why this one closes and a place like Yachtmans Steakhouse continues to survive is mind-boggling. I’ll always miss the Opa! This is making me very sad! Kouzzina’s was a family favorite. The food was always awesome and so were the people working there. My kids and husband are going to be in shock when I tell them. This bites!!! Have eaten at Kouzinna many times, both breakfast and dinner. The food was fabulous, one of the very best in all of “the World”. The service was uniformly terrible.